If you have ever visited Las Vegas or Atlantic City to gamble, you may remember that the casino games never accept cash. Instead, you exchange your currency for colorful chips or even electronic cards. 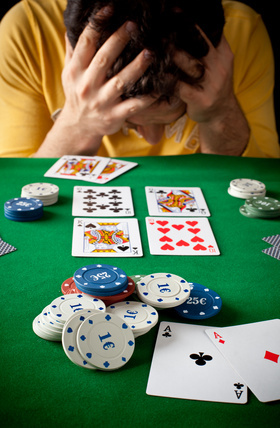 Casino owners know that gamblers will wager more when they don’t actually see their money disappearing, and credit card companies use the same psychology. What could be easier than pulling out that colorful plastic rectangle embossed with your name and a happy image – perhaps the logo of your favorite sports team, an image to remind you of a cause or hobby, or perhaps the photo of kittens or puppies. Other credit card companies woo you with perks and privileges assigned only to those deemed worthy of gold or platinum level cards. Whatever the angle, credit card companies are not in the business of helping you. Instead they generate billions (with a “B”) in profits from fees charged to you. Membership fees, late fees, sky high (25%+) interest charges on late payments, convenience fees and any other fee that can be wrung from you. 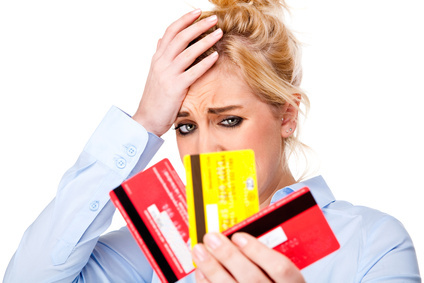 For many consumers on a tight budget who may run a little short on cash occasionally or every month, that credit card can seem like a lifeline. But more often than not, once you are running a balance, the light of financial freedom at the end of that debt tunnel keeps getting smaller. Statistics show that once a debtor owes $10,000 or more, the odds that this person will pay his balance down to zero within the next 12 months is almost non-existent. Reach $20,000 or more and pay off calculator like this one say that you will need years to pay down your debt and that happens only if you make more than the minimum payment on time, each month, without fail. Susan and Jonathan can help you evaluate your debt situation clearly and without emotion or guilt. Sometimes bankruptcy is not the right answer but more often than not, it can help you regain the peace of mind that you never thought would be yours again. So, pick up the phone and call us at 770-393-4985. The call is free but the advice is priceless.